My fifth brush with Sarah Dessen’s books hasn’t gone as well as the previous four books of hers that I read. I was mainly interested in this book because it looks at an abusive relationship, something you might often see in YA but one that doesn’t get called out as such (I haven’t read Hush, Hush, but from what I’ve heard of it, its romantic relationship could certainly qualify). Unfortunately, it was that same abusive relationship that made it difficult for me to enjoy this book. I’ve read and enjoyed Deb Caletti’s Stay, which also looks at an obsessive relationship (although it has a lot less physical abuse), so I kept mentally comparing it to this book. 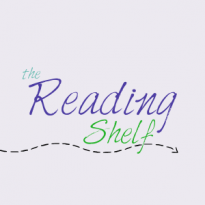 That book looked at the relationship and the aftermath at the same time, while the book was completely linear and went from Caitlin meeting Rogerson to her relationship with him in chronological order, without skipping around. I didn’t like the boyfriend from Stay (I mean, you’re not exactly supposed to), but I understood why that protagonist was in the relationship, unlike this book. Caitlin and Rogerson’s relationship started very quickly and seemed to get deep way too fast. That could have been part of the screwed-up relationship, but I wasn’t sure. I also wanted more from the characters. 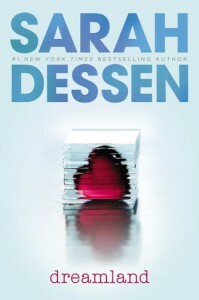 Normally my favorite, or at least one of my favorite, thing about Dessen’s books is the secondary characters, but due to the short length and the focus on the romantic relationship, the secondary characters didn’t seem nearly fleshed out enough. There were so many characters I wanted to connect to yet I couldn’t. I ended up skimming many of the Rogerson-and-Caitlin scenes in order to learn more about the various family storylines; learning more about her family is what kept me reading rather than just giving up on this book. It’s good to acknowledge abusive relationships and their problems in YA, but I feel like this book could have done a better job of that.